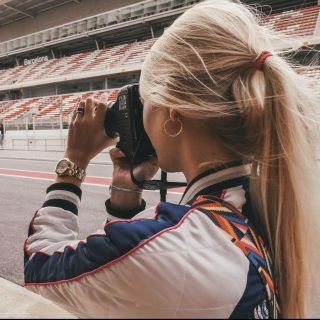 2018 is a very special year and the 8th of June was an even more special day for one of the most beloved sports car manufacturers going: Porsche celebrated their 70-year anniversary . On the 8th of June, 1948, the first Porsche prototype with the chassis number 356-001 received its general roadworthiness papers. 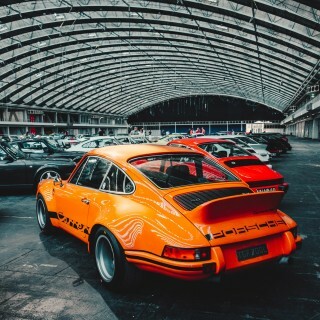 It was the birth of a brand which quickly made a name for itself and produced one of the most iconic cars soon after: the 911. A little less than two decades later, Porsche introduced its successor to the 356. It was a fastback coupé with a 2+2 seating arrangement and two-liter, six-cylinder 130HP flat-six engine in the rear. 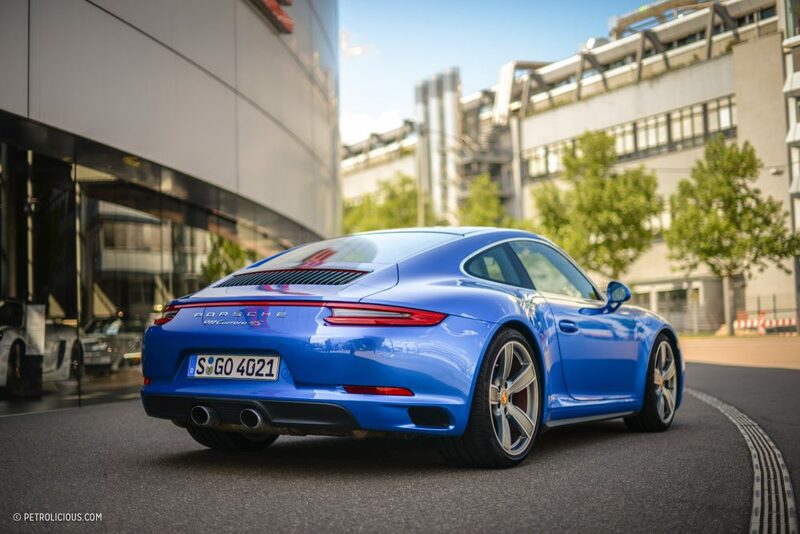 The legendary 911 was born. Back then, however, it was still called the 901. You know the story. Following an objection by Peugeot, the new 901 was quickly renamed the 911, entered series production, and began a long and successful history that still shapes the identity of the Porsche brand today. 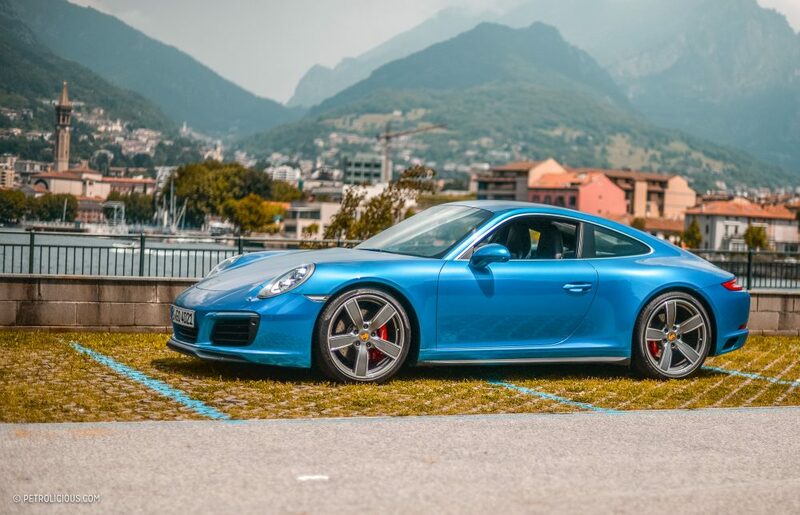 So with the marque still producing 911s today, tell me, what would you do if you had the opportunity to test drive something like a brand new Carrera 4S for a week? You would go on a road trip of course! 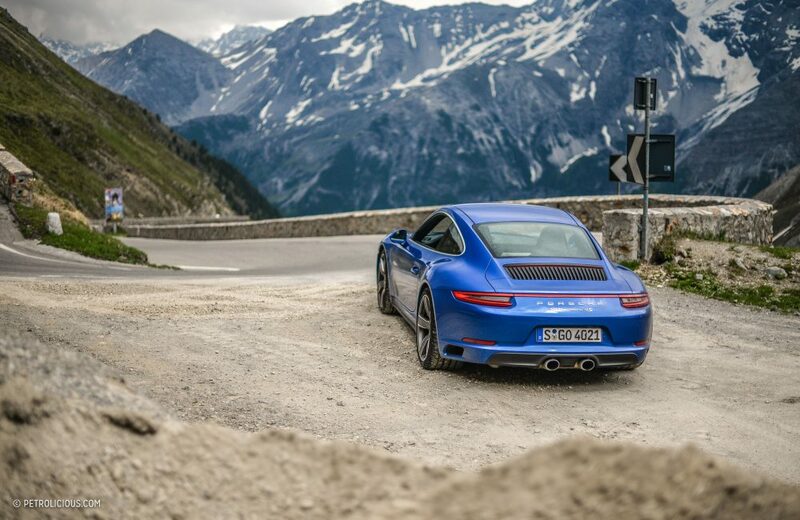 An awesome combination of challenging roads and scenic ambience. Ever since I was little I have been going on road trips, whether with family, friends, or on my own—in the driver’s seat or otherwise. One in particular has stuck in my mind though, a very spontaneous and rather chaotic trip to Italy with one of my best friends. It must be about six years ago by now, when we hoped into my old Mercedes 190D—yes a diesel!—bought a paper road map of Italy, roughly marked the places where we wanted to go, and got on with it, with the only rule being “no autostrada.” Back then I discovered a lovely little town called Rosignano Marittimo, which had a Caribbean-like beach area to offer; an absolute dream of turquoise water and white sandy beaches. Trips like that one had me hooked. So, a few weeks ago when I realized there was to be a public holiday approaching at the end of May, a road trip was desperately needed. The first place in mind was Tuscany, therefore the stop furthest south was set, Rosignano we are coming to visit you once again! However, the rest of the road trip was destined to more exclusive, more exciting, and a lot faster. The original plan of four days thankfully turned into six through four countries: Germany, Switzerland, Italy, and Austria. 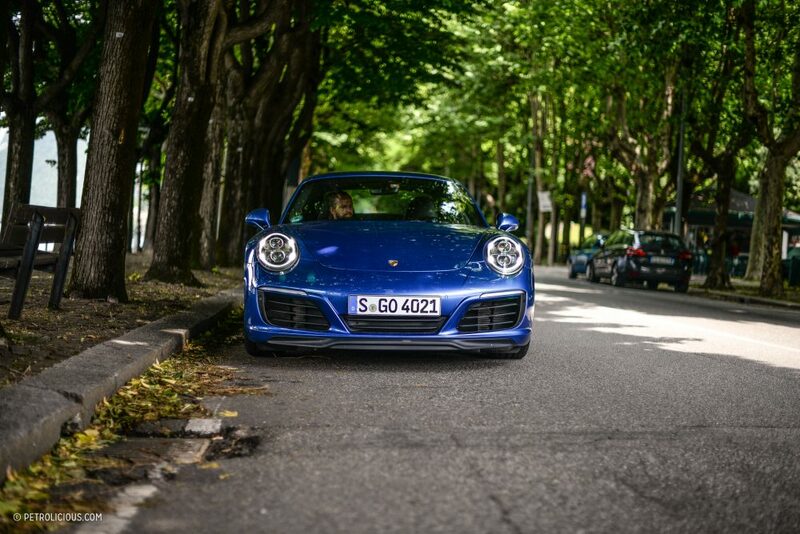 Needless to say that each has its own unique landscapes to offer and a perfect combination of fast and flat Autobahn strips, windy mountain roads, and scenic ocean routes. Before we go on this adventure I want to talk a little about the technical details about the car to set the scene. 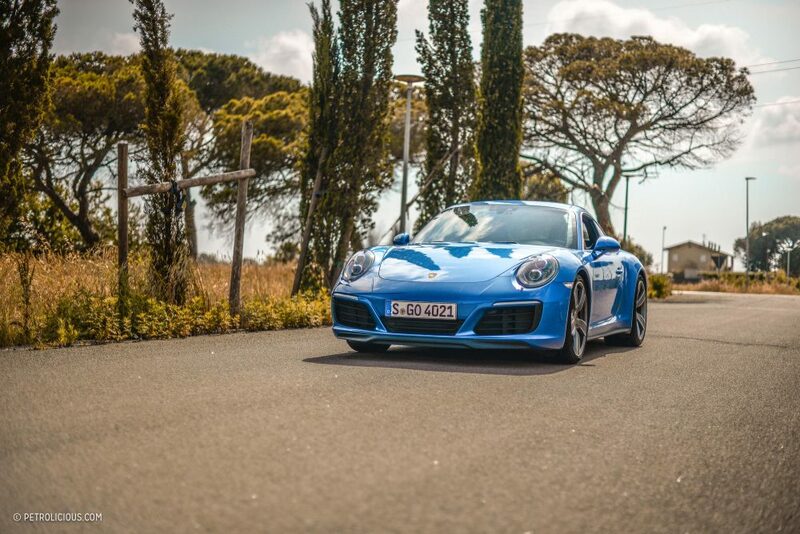 The flat-six delivers 309kW (420HP), 500Nm of torque, a redline of 6500RPM, and the 0 to 60 comes in just below 4.2 seconds. So, clearly a machine you can have some great fun with! 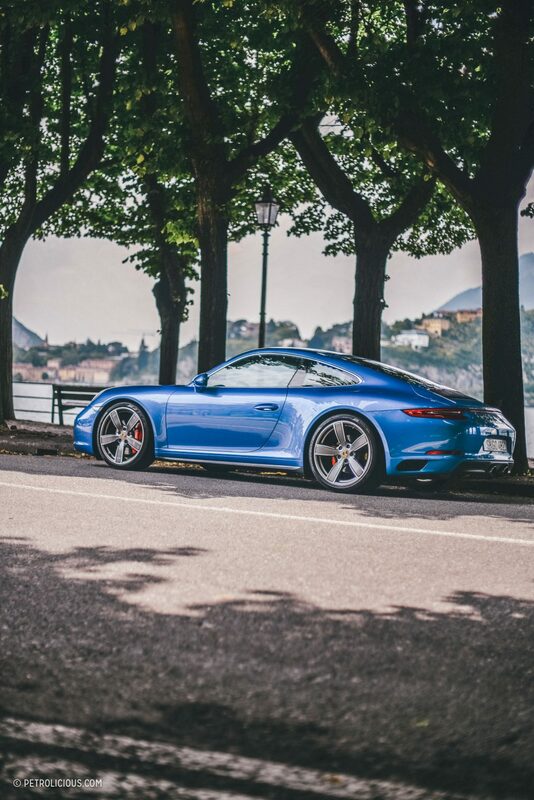 For those wondering, the color is called Sapphire Blue Metallic, and it was packed with options, the best of which being the rear-axle steering. Maybe not for the purists, but it certainly kicked in helpfully in the many hairpins we swiveled around. So the rough trip was planned: 2,500 kilometers of some of the greatest passes the Alps have to offer, plenty of unlimited speed Autobahns. 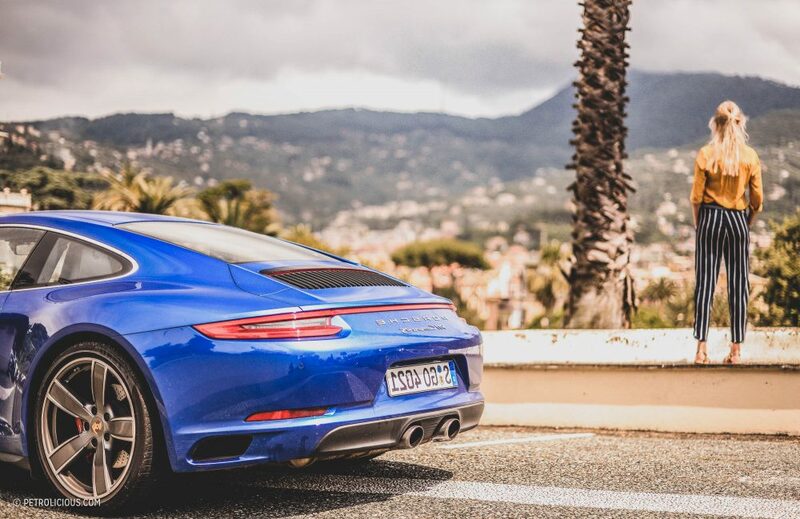 and scenic, winding roads through the Tuscan Riviera ending on white sandy beaches—a dream coming true. The start of the trip is at Zuffenhausen, Porscheplatz 1. 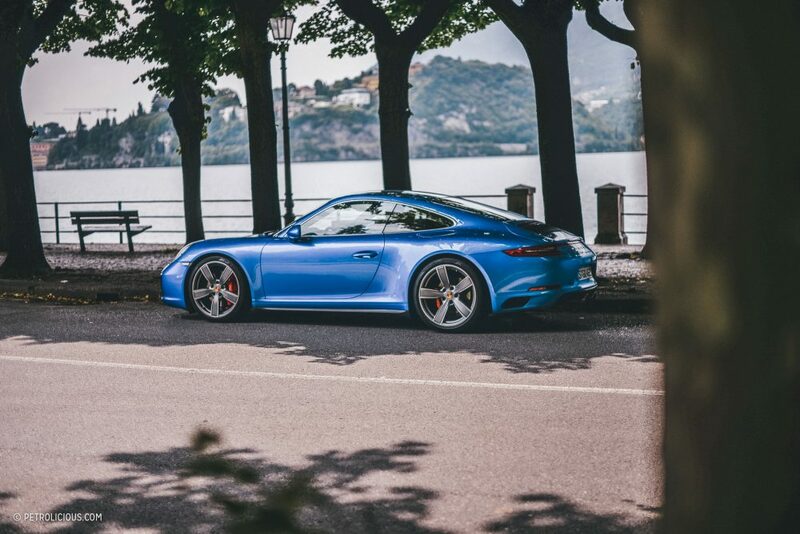 We get to pick up the car and take a few minutes to appreciate the color in the sunlight in front of the Porsche Museum until the itch proves unbearable and we take to the roads leading out of Stuttgart traffic. The first leg of the trip is immediately a test track type feeling, as we get to drive over 280km/h on the Autobahn and everyone knows what that “unlimited” actually means finding the limits! However, sadly we don’t find the space to reach the full top speed limit of 310 km/h, but it surely felt fast enough to get there and we weren’t far off either. 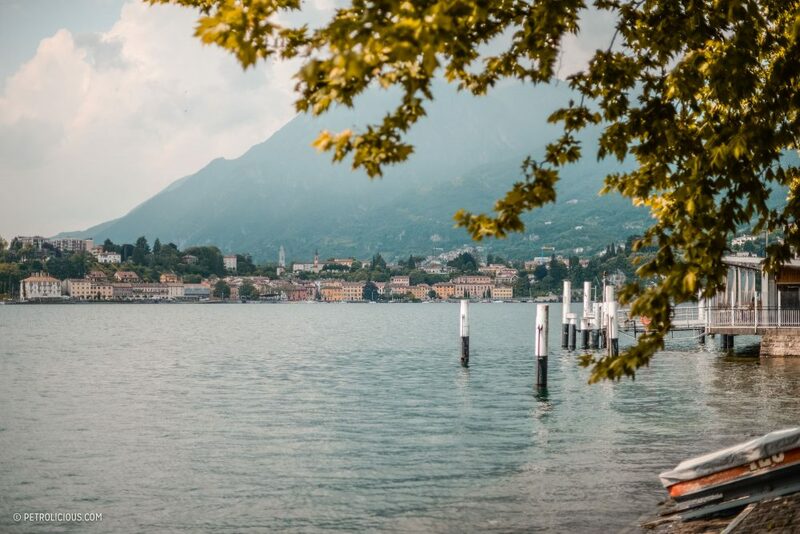 We are heading towards Zürich, and from there we take some scenic roads across the various lakes that dot the place and follow the signs toward Gotthard as we aim for our first pass. However, Zürich was overrun with traffic us so we didn’t end up at the bottom of the pass until 11:30 at night. We are so close, and yet we can barely see our hand in front of our faces, which leads us to the decision to stay on the motorway and not go up the pass. A responsible if boring decision. However, every tunnel in sight I decide to use as an opportunity to downshift and listen to the engine roaring under acceleration in the tunnels. We can’t stop grinning like a four-year-old holding an ice cream, even after the 20th iteration of this tunnel testing. The sat nav aims for us to approach Lecco, Lago di Como at around two in the morning, a long drive, but we put our best tunes on and enjoy the the stereo. A karaoke session is a must-do on a road trip too, and soon we change into old classics from the ’90s and test the limits of the Bose and our eardrums. Driving past Lugano around one in the morning is a rather special atmosphere too, the moon shines on the lake and you get to guess where Lugano begins and ends. Sadly the light wasn’t enough for the camera, so not worth a stop at this ungodly hour. 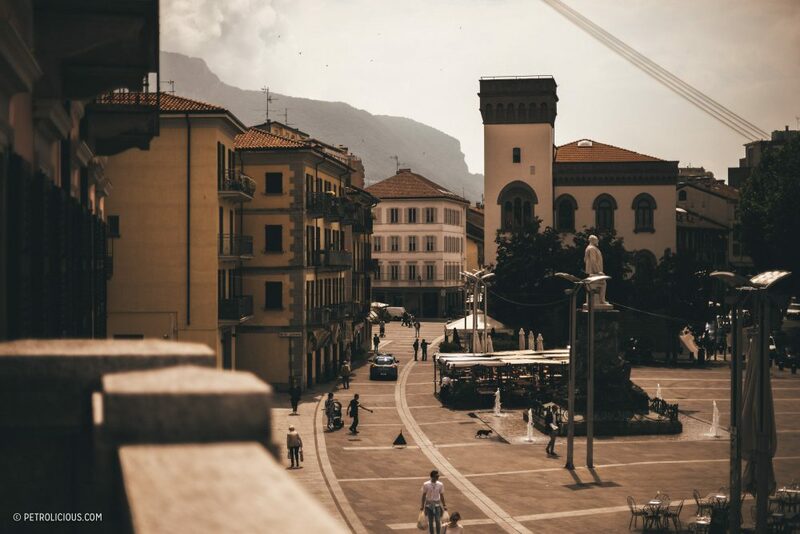 At 2AM, as promised by the satellites above, we arrive in Lecco, a calm town situated at the legs of the Alps and on the bank of Lake Como; a great, quaint atmosphere. We park the car safely in an underground car park I know of, and check into our little apartment, just about 150 meters from the shore. The alarm is set for eight, and we hop out of the apartment bright and early, load the car and walk across the bank side into the old city. We are aiming for a small café with a broad selection of pastries, brioches, and a quality coffee selection, AKA a great way to start a day of sports car driving and exploring! 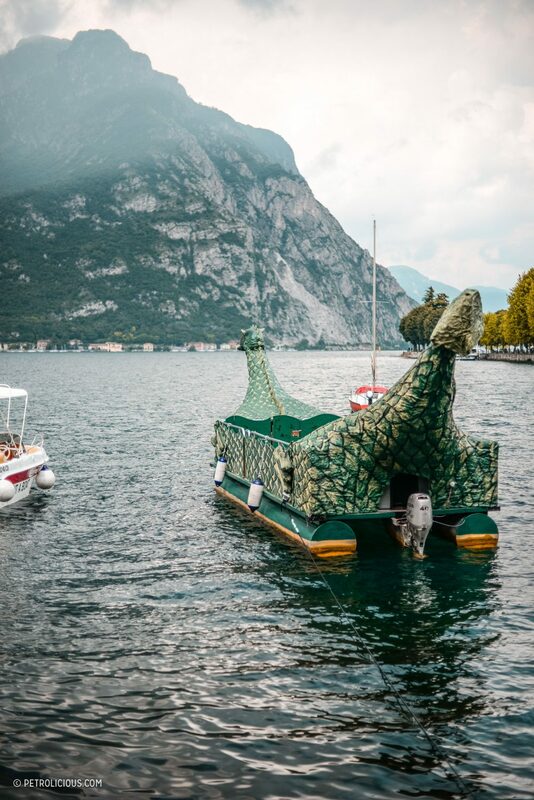 After our morning feast we stroll through the tiny streets of Lecco’s beautiful old town and wander back on the lake side towards the beauty in blue. 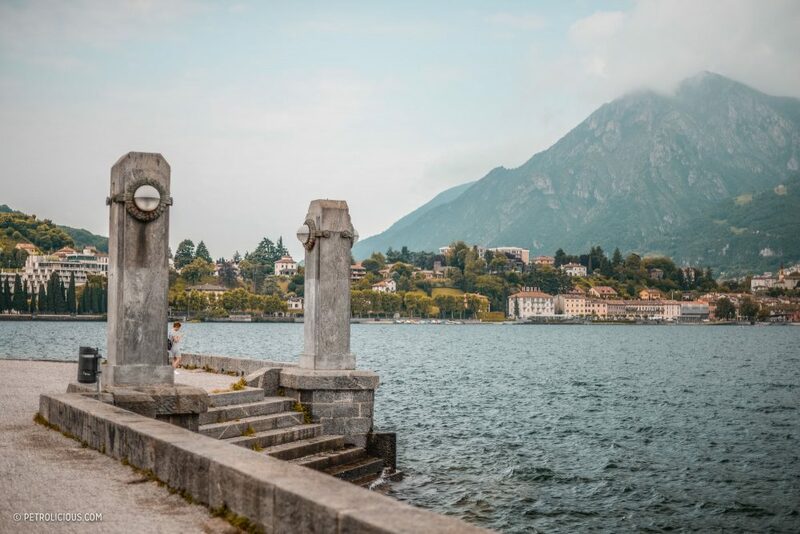 The narrow northern part of Como lies in the Alps and is lined by precipitous mountains. In the south the lake spreads out in the Po Valley. 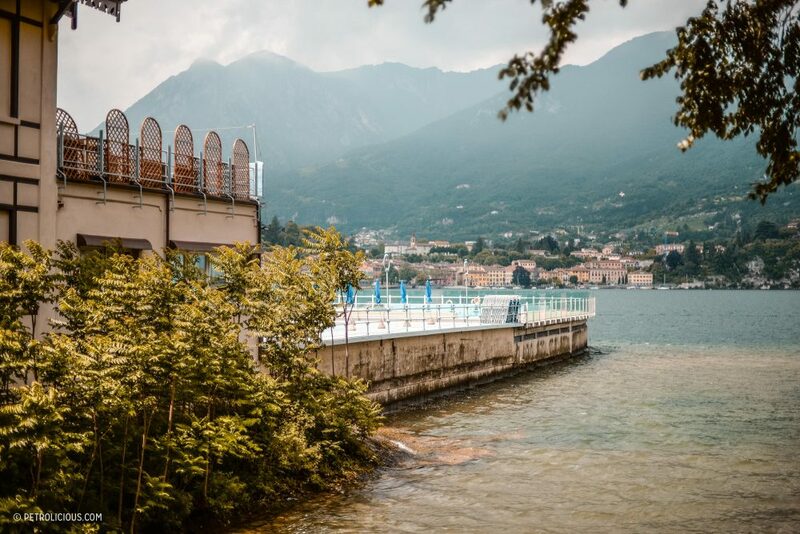 All around the lake many citrus fruits are grown, hence, the lemon liqueur Limoncello is omnipresent in the area. A comfortable walk on the sea shore, a boat trip over the lake, or a hike in the surrounding mountains—much to do but we have better plans ahead. A few more windy pre-Alp roads are conquered before we start heading towards Tuscany. 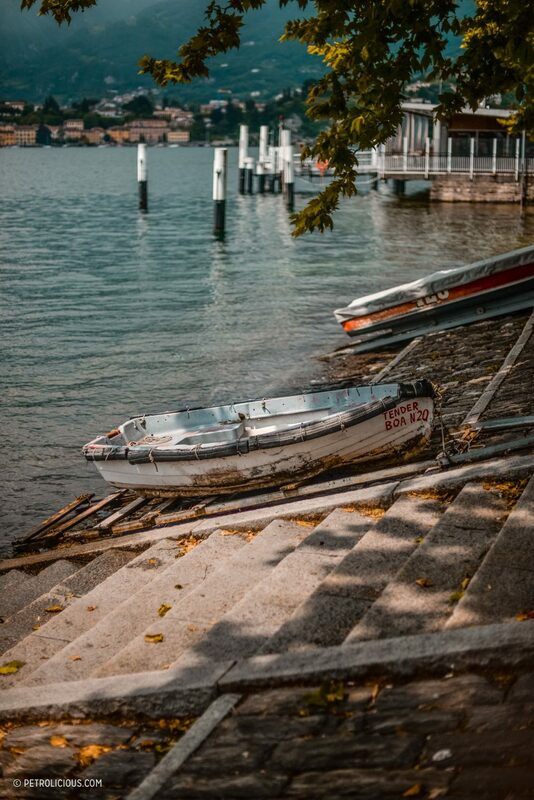 Of course, a quick stop in Milan is usually a must on the agenda, but as we both have visited Milan many times before we wanted to skip the tourist side of things, get away from hectic cities and enjoy the beautiful countryside instead. Our goal is to arrive just in time for one last swim of the day while overseeing the sunset on the ocean. We do not want to swim anywhere in the open ocean of course, we want the clear, turquoise water on the banks of Rosignano and as I think about it I drop my right foot down and accelerate into the next corner. One corner after another, even the autostrada is such a beautifully shaped road across hills and picturesque farmland that you tend to forget about the speed limits. 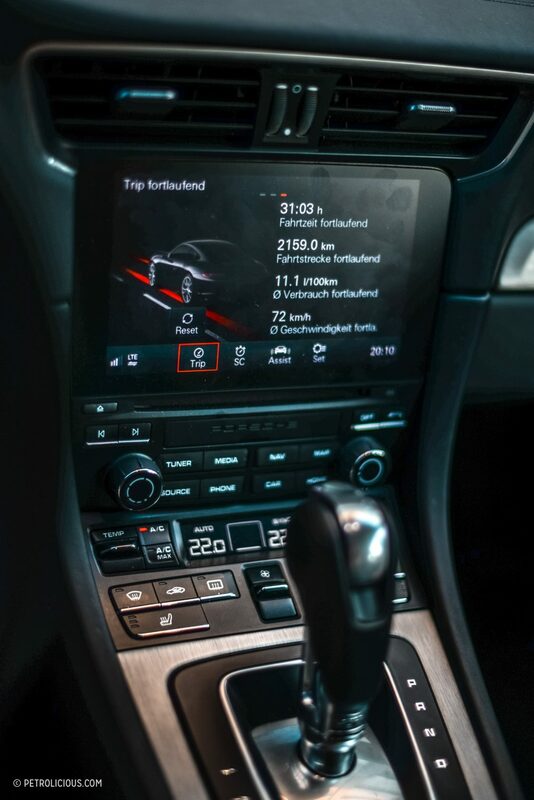 These various sport and comfort modes offered at the touch of a few buttons really are a welcome feature on if you take the car through all kinds of landscapes and roads like we did, and whether you want to cruise down the highway in basic Drive, with closed exhaust flaps and with PDK put into full automatic, or take to the mountain passes on full Sport+ it is definitely something you get used to appreciating. Now, back to our arrival at Rosignano Marittimo. 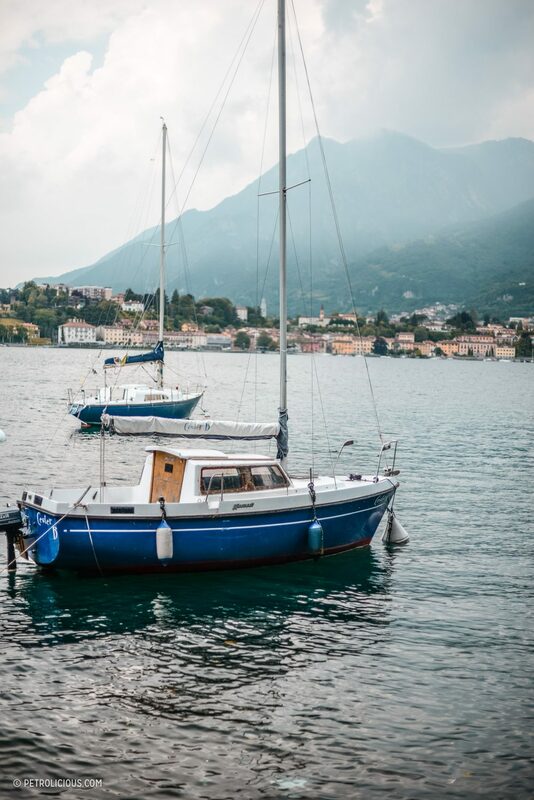 We are approaching the seaside around five in the afternoon that day and simply can’t wait to jump into the clear water and refresh a little after a five-hour journey through the hills of Tuscany. 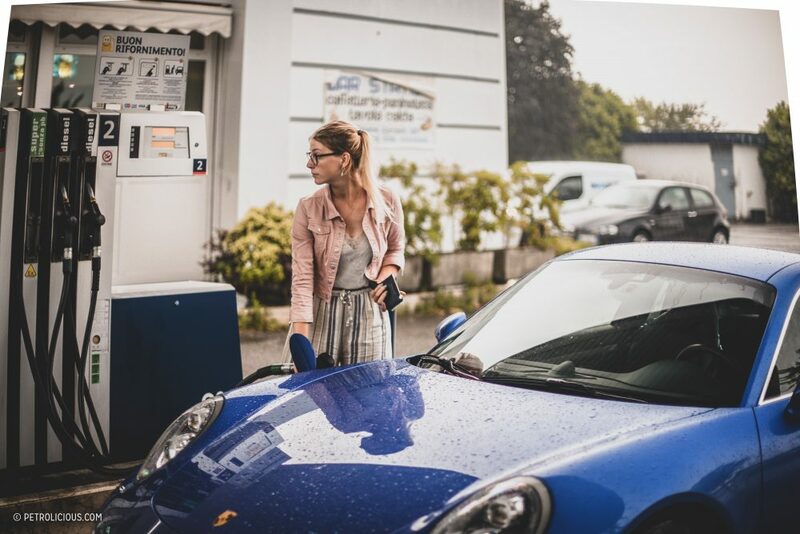 We hop in, let ourselves quickly air dry and jump back into the 911 in order to head towards town in search of a good pizza place where we can also appreciate the view. We end up with good eats, cold beers, but a rather disappointing view, however we are happy enough already of course. We simply can’t stop grinning. Soon we head towards our night domicile, a tiny spot just at the top of the next hill overseeing Rosignano and the sea. 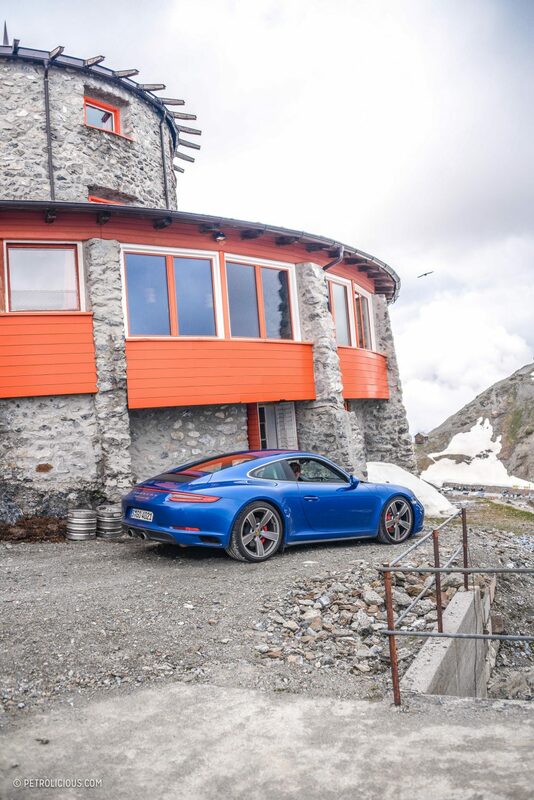 I’m happy about the place, but am put in an even better mood having just taken the Porsche up the very curvy and fast bends that lead there, clearly having enjoyed myself–maybe a little too much? 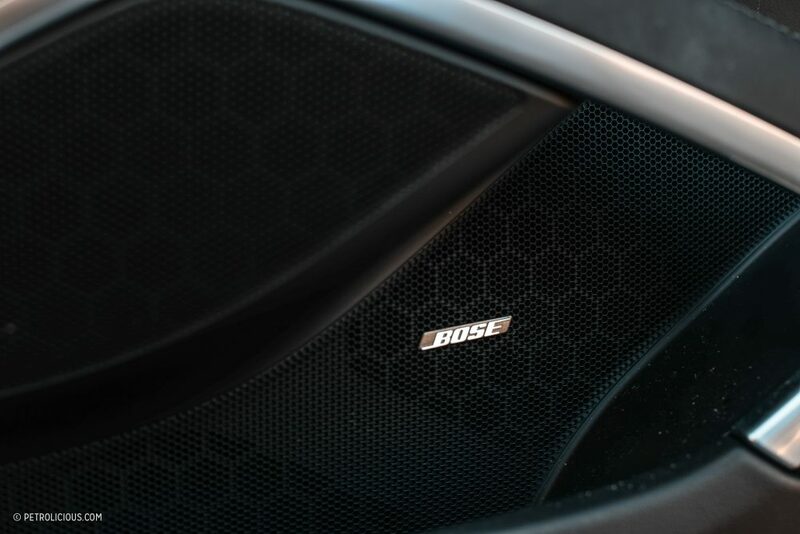 Well, the sound is just so beautiful and rich and clean that I can’t help myself. Oh well! Sorry if I woke anyone up on the way. The next morning, we stroll around the little town in search for a good view while enjoying espresso and brioches. Soon after we jump into the 911 and head towards the beach again. 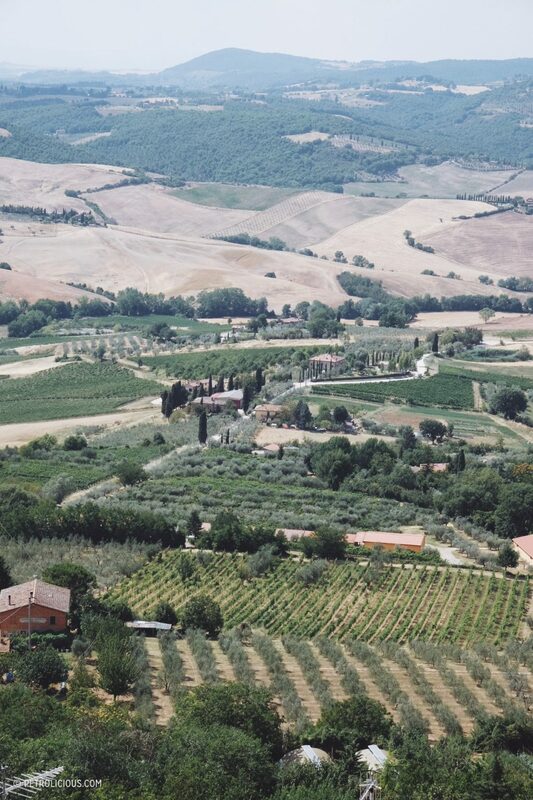 After a relaxing day in the sand, we head off once again for the next stop on the Tuscany portion of the road trip. The town is located a few hours through hills, famous for it’s fort-like resemblance and big city walls. 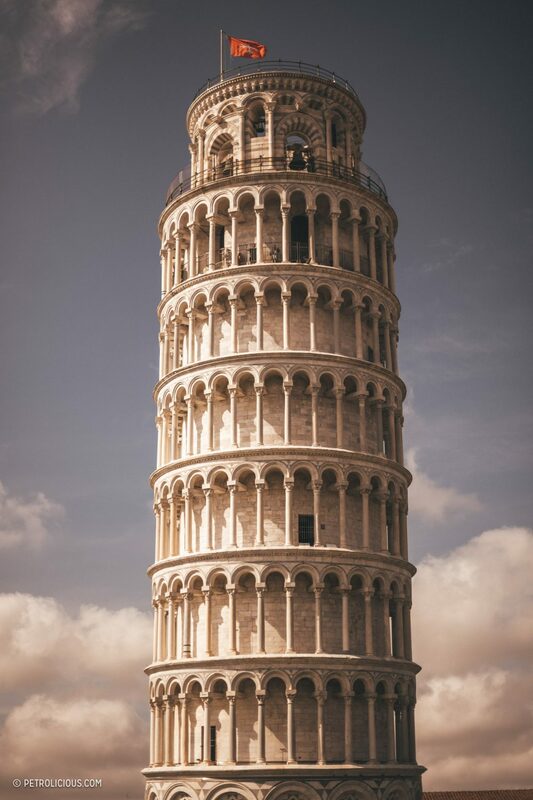 You can find some of the oldest buildings in Tuscany here, definitely worth a visit and quick stroll through. A perfect late afternoon trip. Where am I talking about? Volterra belongs to the province of Pisa, and has been the setting of various cultural and historical developments since the Roman-Etruscan age. The city has an untouched medieval look and is enclosed in the ancient walls, perhaps built around the 4th century. Since then not much has changed, and it‘s therefore an authentic experience of the past, at least architecturally. 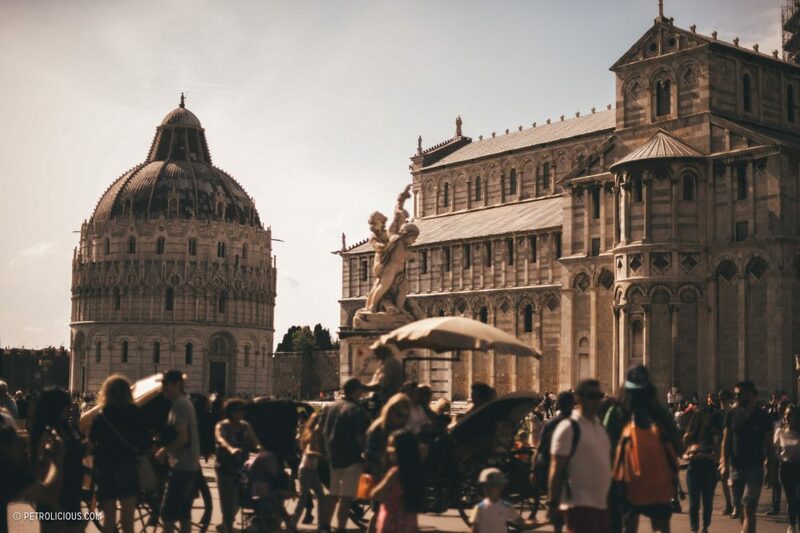 In Piazza San Giovanni you‘ll find several buildings: the Cathedral, the Baptistery, the Opera house and the Santa Maria hospital. But you should save some time to see the Medicean Fortress and the great Roman Theater. 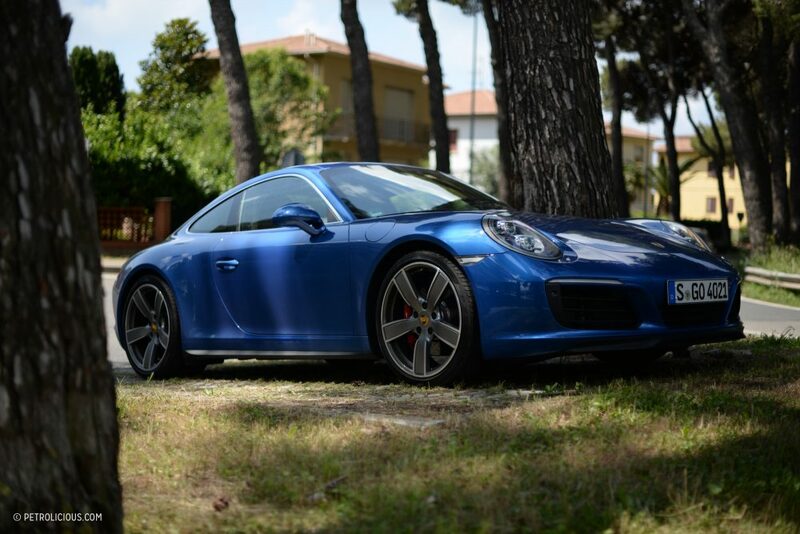 The next day plans on our road map are Santa Margherita and Portofino, around 200km, and a two or three hours’ drive away from Rosignano heading northwest. Santa Margherita Ligure, also called the “Pearl of Tigullien,” is a town with around 9,300 inhabitants in the metropolitan area of Genoa. The town has the reputation of a small elegant-fashionable port in the Riviera Tu the Levant. It materializes like an impressionist painting. You wouldn’t want to change a single detail of its picture-perfect seaside promenade, where elegant hotels overlook yachts in this fishing-village-turned-retirement-spot. It’s decidedly less “bling” than Portofino, with some affordable hotel options and a surprisingly workaday town behind the waterfront. 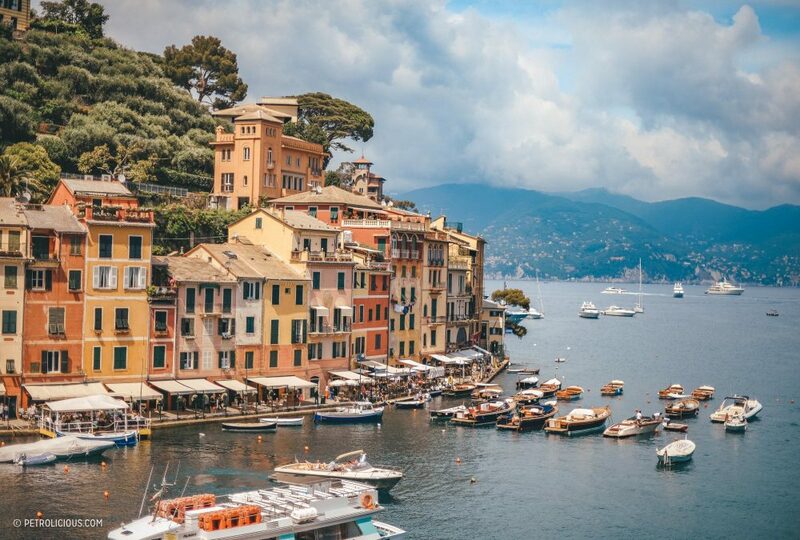 Portofino, a small fishing village and holiday resort famous for its picturesque harbor and historical association comes next. 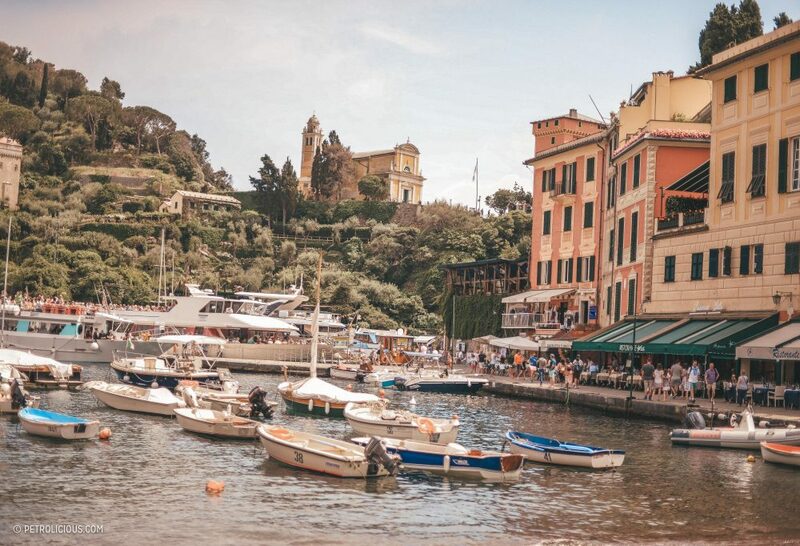 Boutiques, luxury boats, high-class hotels: Portofino has everything to offer for gentlemen and ladies looking for a stylish stay on the water. 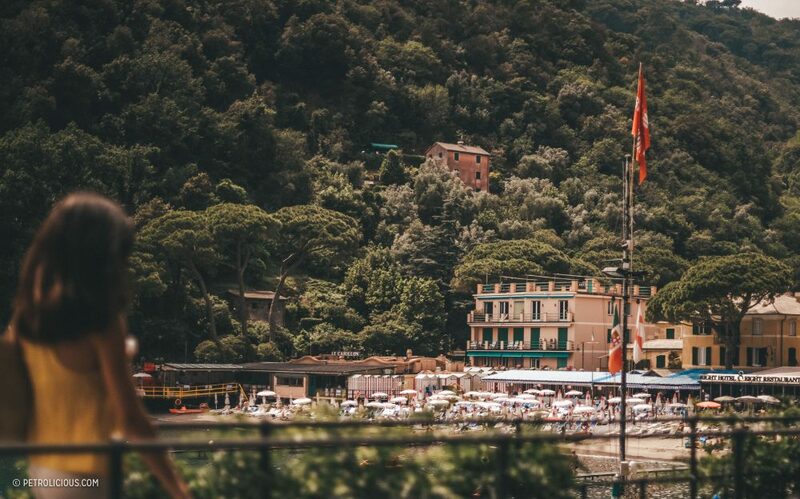 The 500-souls village of Portofino laid in gentle green hills in the small, protected bay in the Golfo del Tigullio near Genoa is and remains a jewel. No hotel bunkers, no traffic, no futuristic experiments disturb the eye. Instead, the narrow fishermen houses shine in perfectly co-ordinated Mustard-yellow, ocher, rose and russet around the harbor. The turret-occupied, venerable villas in the hills, the Castello sitting enthroned over the Bay, as well as the paved piazza add to the charm. 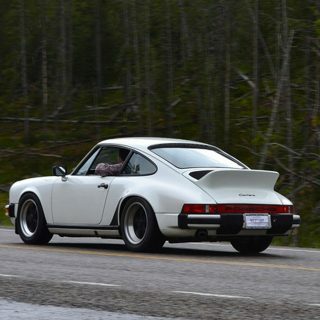 Later in the afternoon we hop back in the Carrera and start with the last stretch of our drive for the day. We are heading further north, around 250km towards Bergamo. At this point I should probably mention the toll system in Italy. 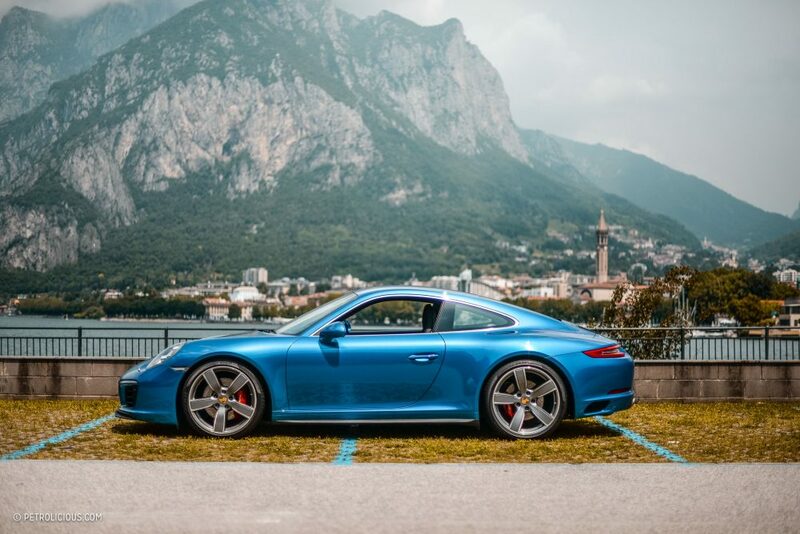 Northern Italy is suited very well for a road trip. A thick net of highways connects all important towns with each other. This is for the preservation of the streets, these toll roads and hence, most streets in the towns are in an excellent state. Back to more pleasant topics than toll roads! Bergamo is my home town, well, or let’s say it has become my second home over the past 10 years. It’s home, it’s family and friends, what’s the difference? Here a recommended excursion is to the old upper town (Citta Altá). Precipitously small alleys wind to the main square Piazza Vecchia which reaches back to the Middle Ages. The Old Town is completely car free, you can stroll comfortably over the crooked plaster streets. Numerous small stores offer local tidbits and trinkets and the view of the town wall surrounding the lower town is spectacular. 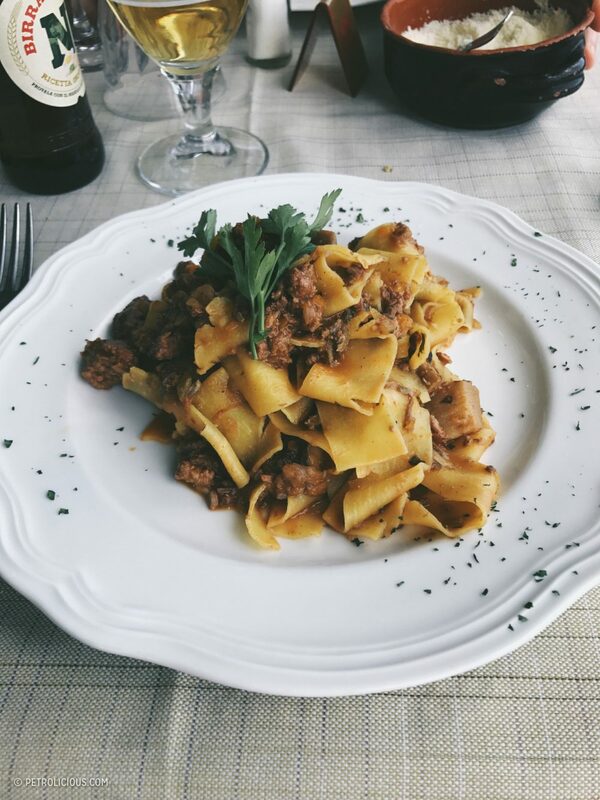 The day we arrive is Italy’s national day of the year, and we are about to experience the whole town awake and out partying. After a fantastic dinner with friends we head up to Citta Altá again. 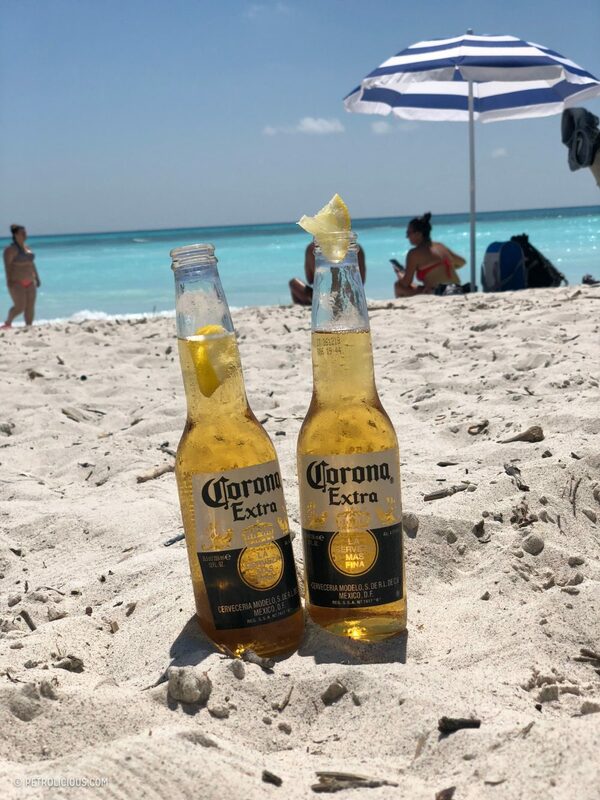 Many options approach us, wander left and you approach a Latin-American party atmosphere with live music; wander right and you approach a bungee jumping ground, a carousel, and many more attractions. We keep poking around and soon find ourselves in a street food court, with all possible variants of taste available. The rest of the evening was spent eating through all kinds of nations, dancing to their music, and drinking local wines—what a glorious way to end an incredible day! 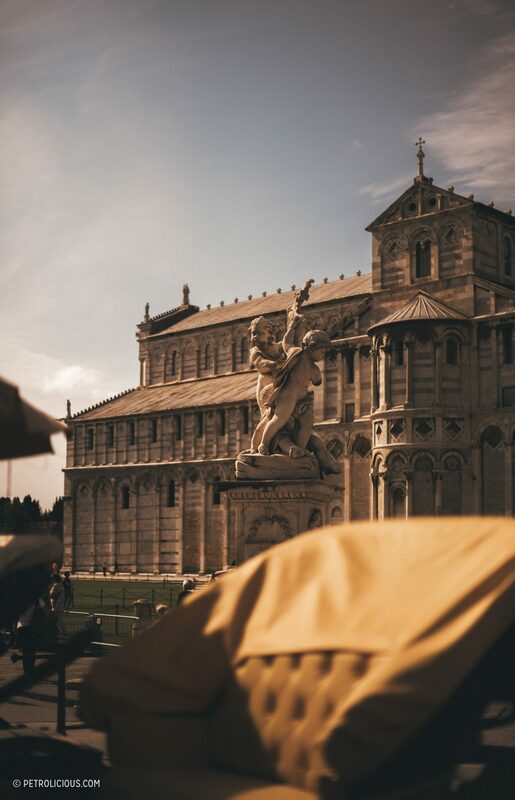 The following day we take a day off from driving across the country and decide to stay around Bergamo – to take Italy all in, live la dolce vita for a day. 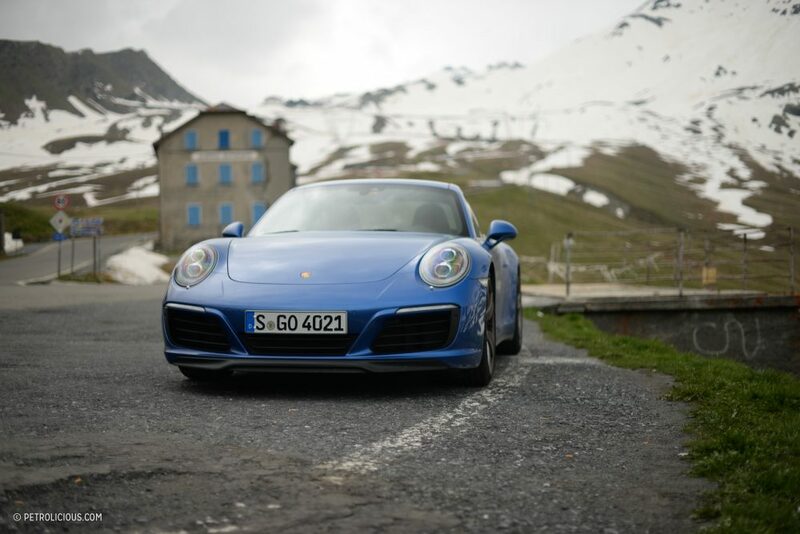 That said, we both can’t wait to hop back in the car and climb the Alps the next morning, including the world famous Stelvio Pass and the Gavia Pass, a very underrated sister. 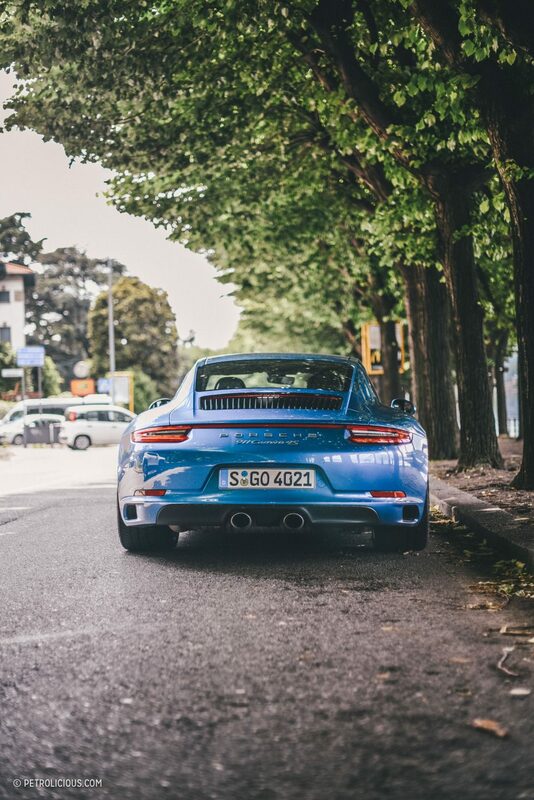 Bright and early we collect the beauty in blue from the underground parking, put our luggage in the boot, grab a quick coffee with my family and head off towards the Alps with the biggest smiles on our faces. We clock 8:01AM when we approach Lago d’Iseo on our way to the Gavia Pass. The well-developed north ramp of the Gavia is of medium difficulty, the south ramp is asphalted and also not too bad, however, a 10-kilometer-long middle piece on which even an oncoming biker can mean quite a lot of stress is the difficult bit. The pass‘s height is between 3000 meters in the midst of a wide plateau and offers marvelous views of the Adamello glacier, if you catch nice weather. The compulsory hospice is a popular biker’s club. In 1959 the Italian family Bonetta built a mountain hut, Rifugio Bonetta, on the Gavia to the joy of numerous travelers and mountaineers. And 50 years later the same family still manages the place! The pass lies in the Lombardy region and divides the province of Sondrio to the north and the province of Brescia to the south. The road over the pass connects Bormio to the northwest with Ponte di Legno to the south and is single track most of the way on its southern section. The drive is beyond words, but insane fun might be the best simple description. 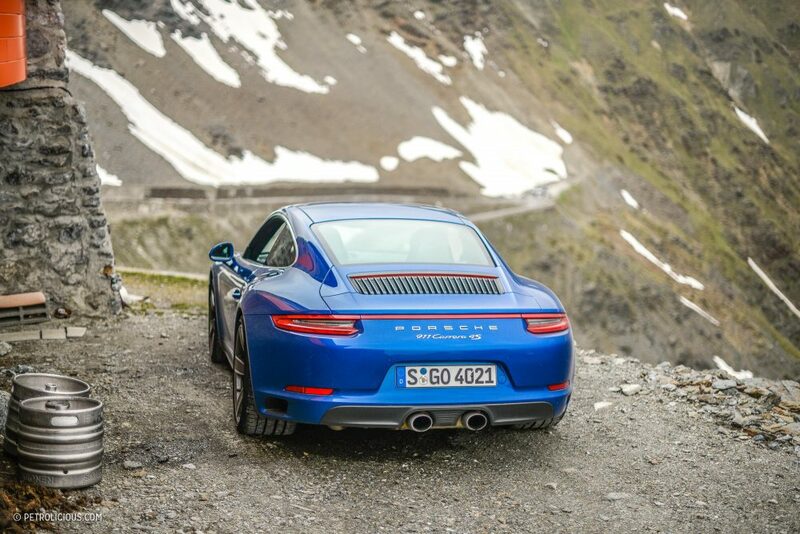 And how did the 911 Carrera 4S keep up with the thin and difficult middle bit? Amazingly well. 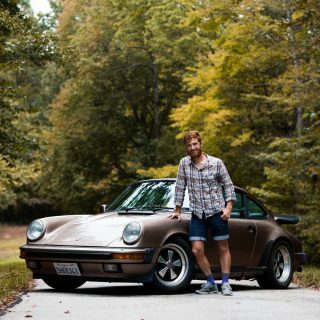 The handling was direct and instantly responsive, the attributes I absolutely love about driving a Porsche of any vintage, and what they are famous for. Every corner leaves you with a smile and some added gratitude for German engineering like this. 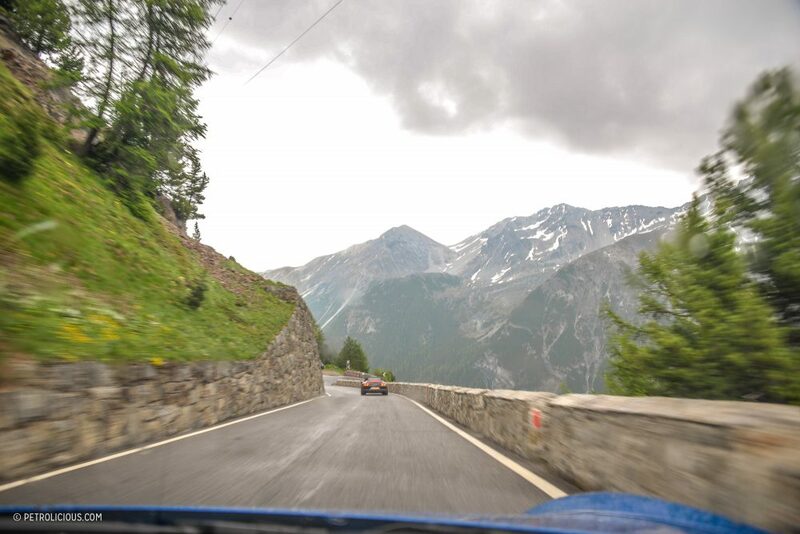 We then headed off towards the Stelvio Pass, about an hour away. 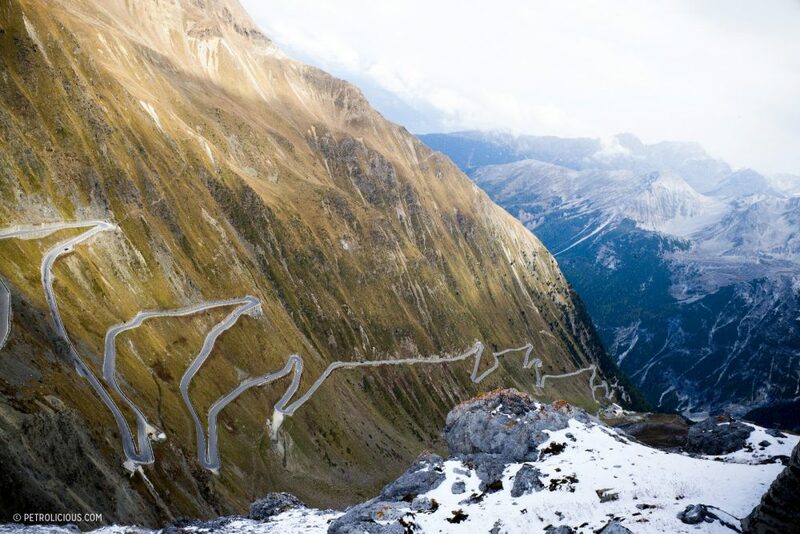 The northeast ascent of the Stelvio Pass is one of the most difficult mountain passes in the Alps and should only be approached with a certain level of driving experience and capability if you want to do it at speed. The pass is after the Pass d’Iseran, the second-highest asphalted mountain pass of the Alps and one that connects Lombardy (Italy) with South Tirol (Austria). 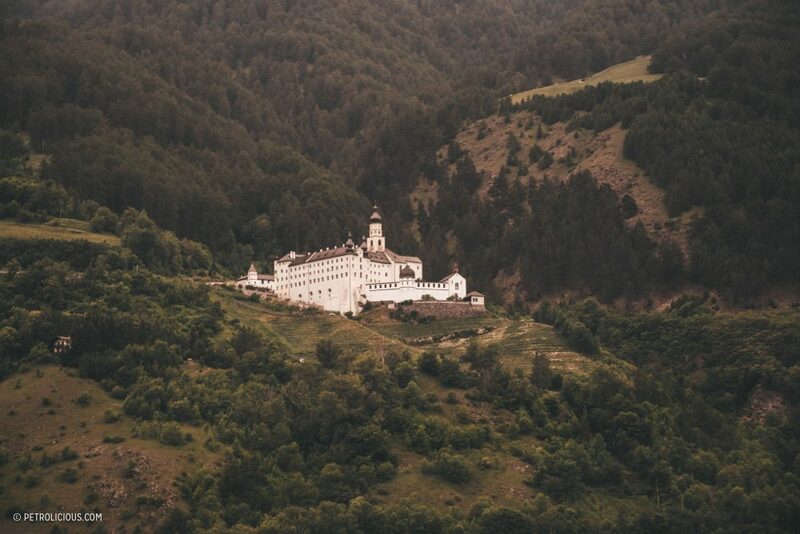 First built in 1826 by the Austrian empire, the route was asphalted anew a few times. 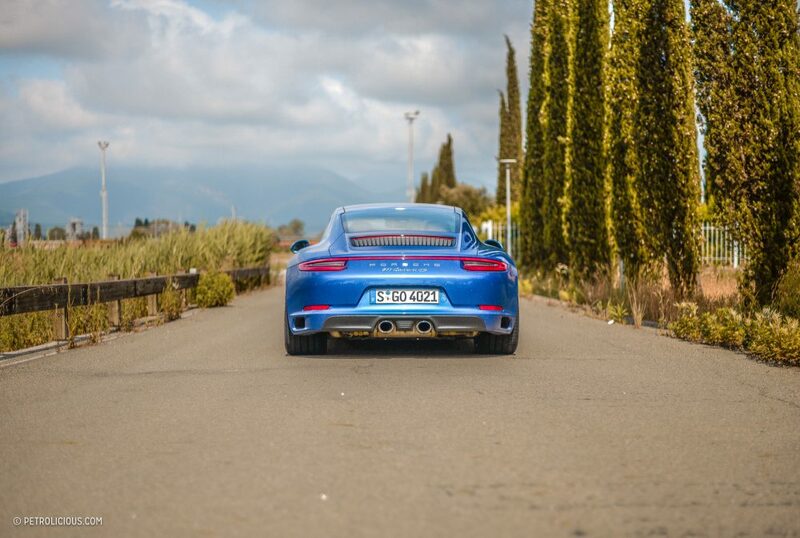 Full of hairpins, it’s a test of automotive athleticism for sure. 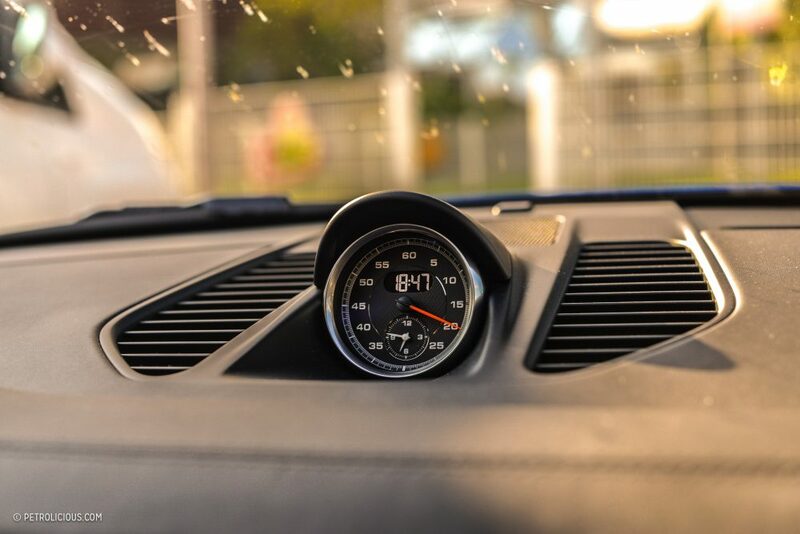 To tackle it at full speed is a different kind of daring. 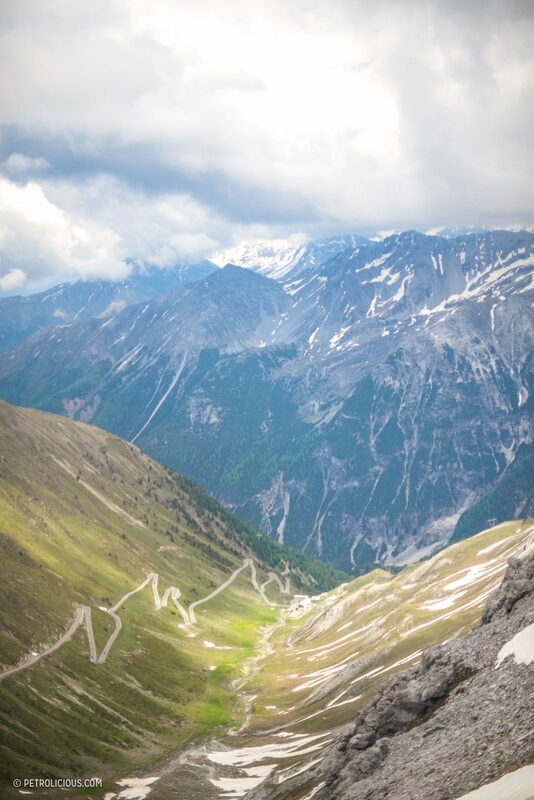 The “Parco Nazionale dello Stelvio” that it cuts through was founded in 1935, and the 130,000 hectares make it among the biggest nature reserves in Europe. A glacier covers much of the area. 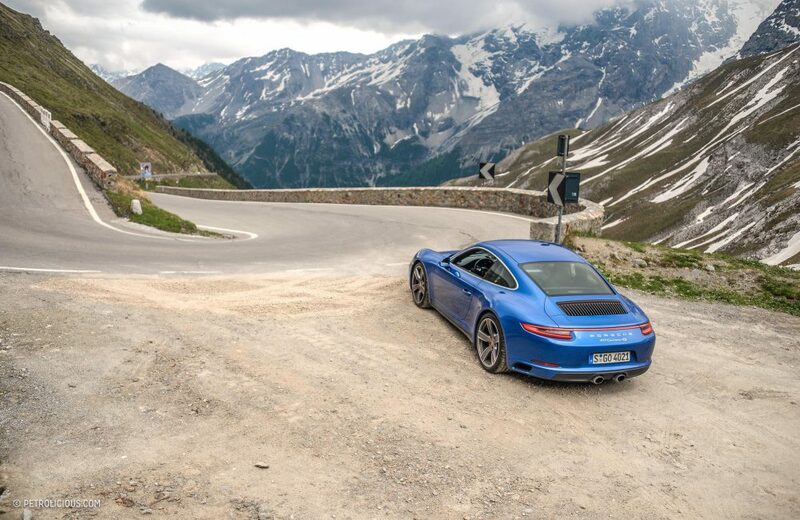 The pass leaves one as speechless as you’d imagine once you’d first seen the pictures or the Top Gear episode. As such, it’s quite busy. Cyclists, bikers, hikers, family-packed cars, and supercars all find themselves on the pass—for some this means speed, for others the slow and scenic type of driving, and some use all possible lanes available. So please be careful approaching and climbing that pass, and don’t expect to have it all to yourself! 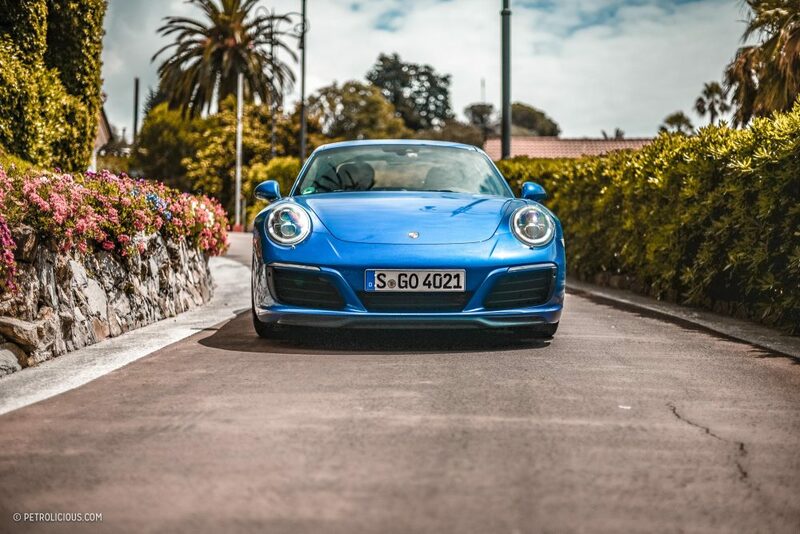 The Porsche performed excellently, and that is said by someone who usually prefers light, tiny and “naked” cars, especially on hairpin roads, in the mountains where power-to-weight ratio is everything. 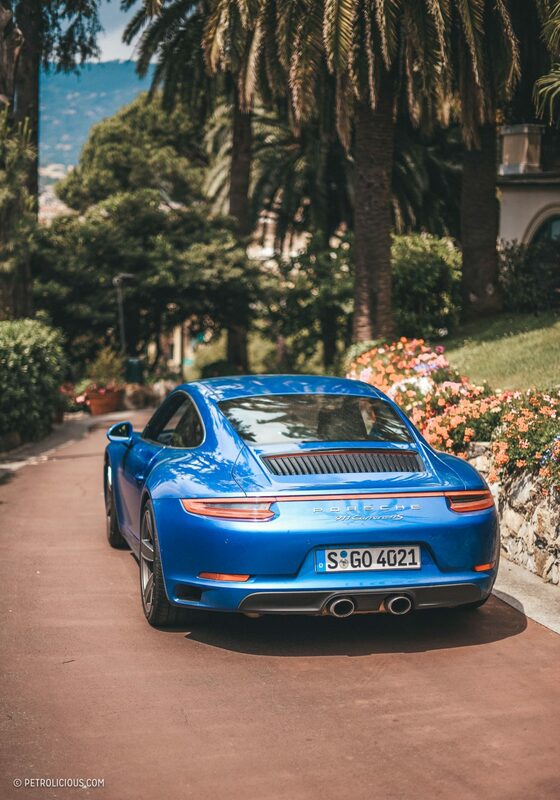 But, the 911 Carrera 4S was the perfect all-‘rounder and I don’t think many cars would have fit in amongst seaside resort towns and treacherous hairpins alike like this one did. 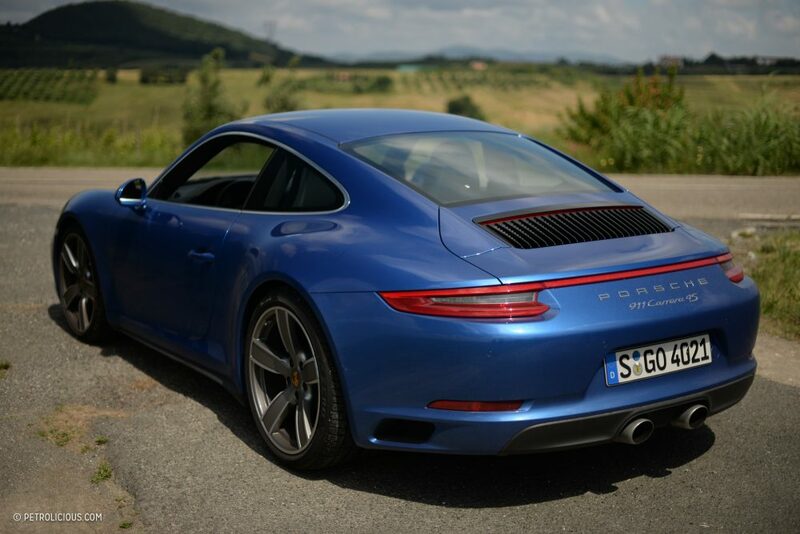 At the end of the day, a 911 remains a 911. It was an unforgettable trip, but of course I’m already looking forward to the next one, as is the way these things go. How about you, where are you going next? 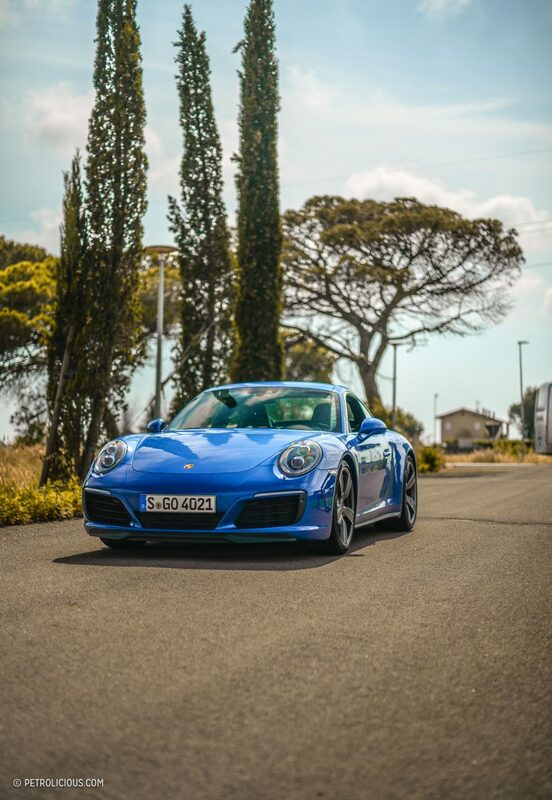 Of course, it’s not about the destination, and you don’t need to be in modern sports cars on the world’s best roads to make it special. Awesome story and great photos, thanks for sharing the adventure with us! 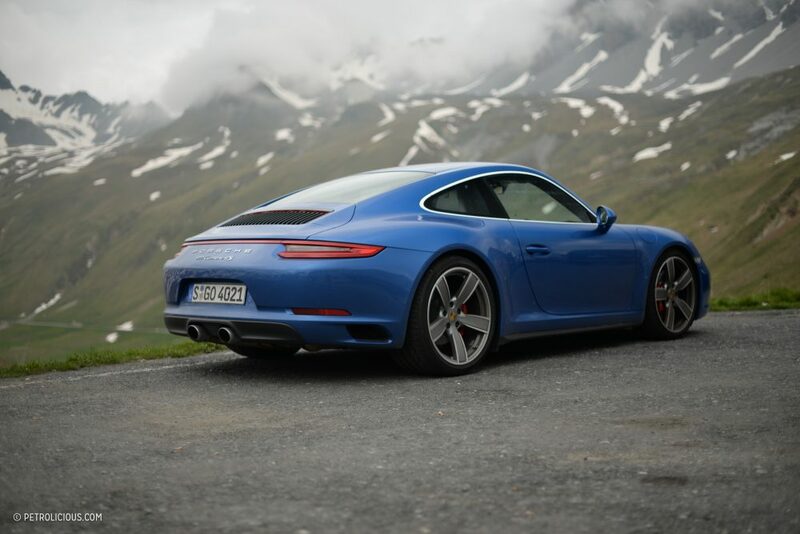 I’ve been eyeing the 991 Carrera S as a replacement for my Audi S4 recently, figuring I have a limited period of time where my children are small enough to fit in the back of a 911. I can always buy another S4 later if they get too big. Haha. I did more or less the same roads 2 years ago with my own car (BMW 120d), from brussels to toscany in 6 days and it was an epic journey ! And I just came back last WE from a day with a 911 GTS from Porsche Museum into the black forest and it was also just a prefect day ! Can’t wait to do more than one day go to the alps ! 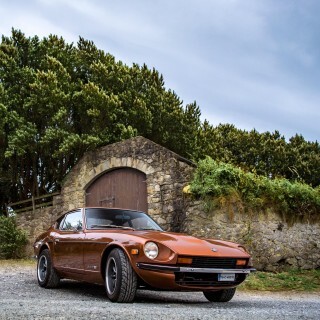 This would be my absolute dream drive in a fun car. 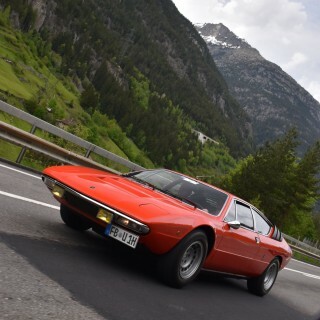 The challenge of the Swiss passes and the majesty of the Alps to the scenic beauty of the lake region and Tuscany. Great car for this tour and wonderful story, but Laura, those striped pants!